Burton M. Woskoff, 88, of the Garnet Valley section of Concord, a retired supervisor and decorated World War II veteran, died May 4 at Delaware County Memorial Hospital in the Drexel Hill section of Upper Darby. 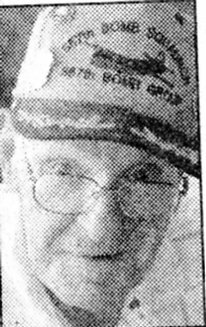 He was an U.S. Army Air Corps veteran of World War II. Stationed in England with the 557th Bomb Squadron, Mr. Woskoff completed 73 bombing missions and was in the first bomb group over beach heads at Normandy on D Day. He was awarded an Air Medal with Oak Leaf Clusters and the Distinguished Flying Cross. Mr. Woskoff was the president of the 557th Bomb Squadron/387th Bomb Group Squadron Association. Mr. Woskoff was the widower of Catherine T. McGinnis Woskoff. He was the son of the late Dora Goldberg and Michael B. Woskoff. Survivors: Daughters, Sue Lohan of the Garnet Valley section of Concord, Lorrie Neiburg of Kennett Square, Chester County; son, Fred Woskoff of Madison, Wis.; sister, Anita Rosenthal of Leewood, Kan.; brother, Alfred Woskoff of Los Angeles, Calif.; four grandchildren; one great-grandchild. Burial: Private. Contributions: Delaware County Memorial Hospital, Lansdowne and Keystone avenues, Drexel Hill, PA 19026. . Please share your memories of Burton.